Put down the pots and pans and let the Renegades do the cooking. 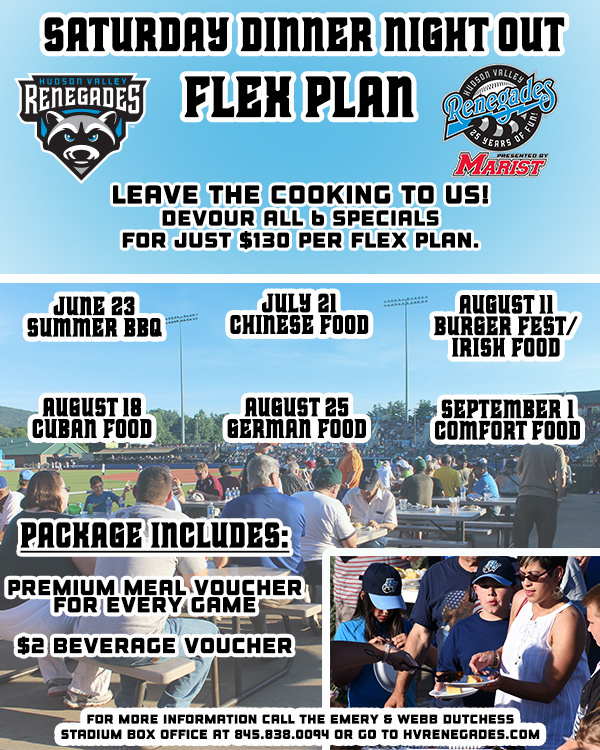 With the Saturday Dinner Night Out Flex Pack, enjoy a variety of food as well as 6 'Gades games for only $130. Whether it be a date night or a friends night out, this new package is perfect for every 'Gades Foodie. If you have any questions, call the Emery & Webb Dutchess Stadium Box Office at 845.838.0094.